When the plant was relocated in 2008 to Sanand, much of the machine and materials from the site (pictured) at Singur were removed. Having fulfilled the commitment of returning land to the farmers of Singur, the West Bengal government is planning to auction the metal scrap and car sheds of Tata Motors lying at the stackyard in Singur, Hooghly. On August 31, the Supreme Court set aside the acquisition of 997 acres by the Left Front-led West Bengal government in 2006 to help Tata Motors set up its Nano plant in Singur. The timeline set by the court for redistributing the land was 12 weeks. The state government had initially asked Tata Motors to dismantle the structure at the site, but the company conveyed that its case in the Supreme Court was still pending. Following this, the state went ahead with dismantling of the structures at the site to pave the way for returning the land to farmers. The case being referred to by the company is the one filed by the state government, against the order of a division bench of the Calcutta High Court, which had struck down the Singur Act of 2011, vesting the entire land with the state government. The Supreme Court verdict in August, on the other hand, was on the special leave petitions filed by farmers and some public interest organisations on the process of land acquisition. In keeping with the court directive, almost all the land has been returned to farmers and cheques have been distributed to the ‘unwilling’ farmers. “Less than 100 acres remain to be distributed as the land titles were not clear or they were not residing in Singur,” officials said. 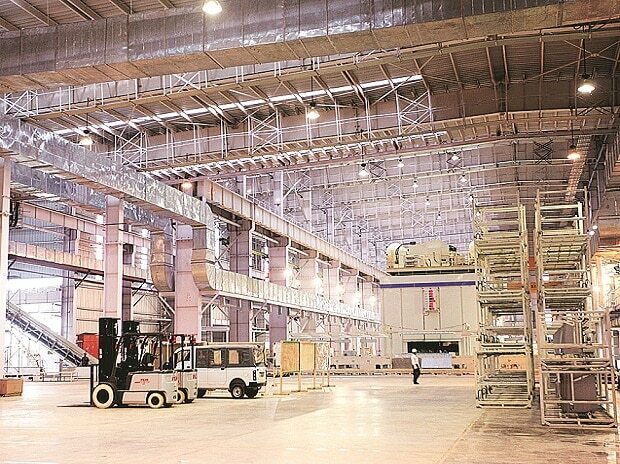 Among the major structures at the site was the Nano mother plant spread over 150,000 sq ft. At the time of relocation to Sanand in Gujarat, following an indefinite agitation by the ‘unwilling’ farmers of Singur, Tata Motors had completed 95 per cent work. Also, 13 vendors had constructed plant and building, while 17 vendors were in various stages of construction. Some of the structures at the project site belonged to the ancillary units. However, when the plant was relocated in 2008 to Sanand, much of the machine and materials from the site were removed. But even then, a significant amount of scrap was still be lying at the stackyard. A petition filed by Tata Motors in 2011 in the Calcutta High Court said its losses were around Rs 1,400 crore and the vendors had invested Rs 338 crore. But, what percentage of the Rs 1,400 crore could be apportioned to the scrap and structures will be known only after the assessment. Tata Motors’ latest annual report said that during FY15, it had made a provision for carrying capital cost of buildings at Singur, which amounted to Rs 309.9 crore. The figure excluded other assets (including electrical installations) and expenses written off/provided in earlier years, security expenses, lease rent and claim for interest on the whole amount.